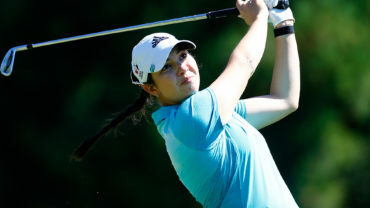 ONEIDA, Wis. – After entering round two in third and falling to 22nd, Brittany Marchand climbed up the leaderboard in the third round of the Thornberry Creek LPGA Classic. 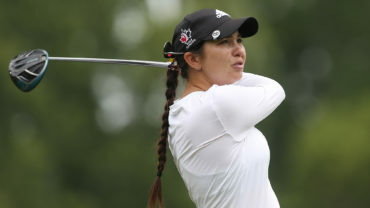 The Orangeville, Ont., native, who recently hit a hole in one at last weekend’s KPMG Women’s PGA Championship fired a 66 in a strong third round that included four consecutive birdies on the back-nine. 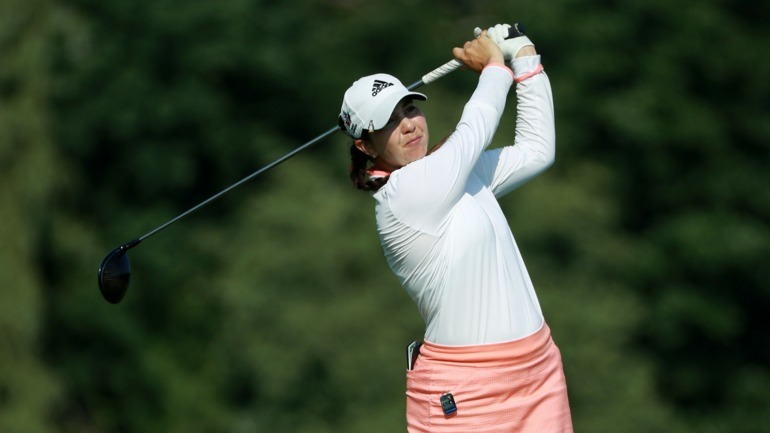 Marchand will head into Sunday’s final round in a tie for sixth behind leader Sei Young Kim. 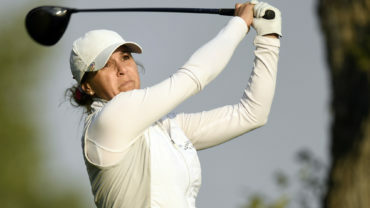 Kim shot an 8-under-par 64 in the third round to tie the 54-hole record of 24 under and take a commanding eight-stroke lead. 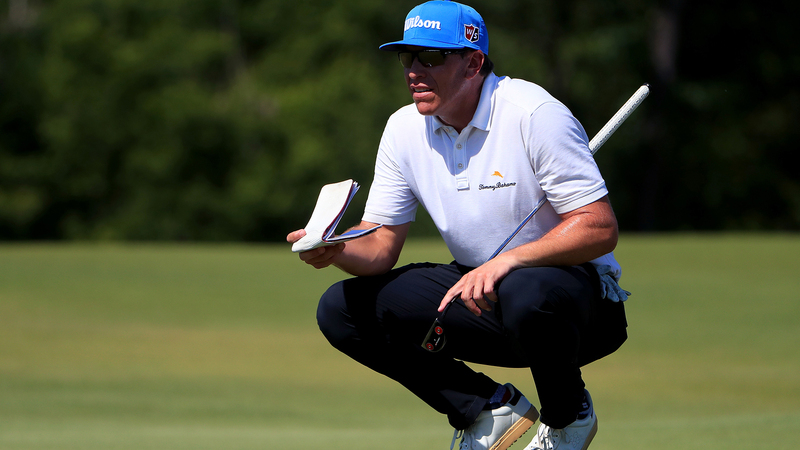 Kim, who had a 63 on Thursday and a 65 on Friday, got rolling with an eagle on No. 3 and added six birdies. A birdie on No. 16 tied Annika Sorenstam’s 24 under at the Mizuno Classic in Japan in 2003. After Kim missed a long birdie putt on the par-3 17th, she hit her tee shot on the 390-yard 18th into the left rough. Her approach was well short of the hole, and her birdie putt missed badly. She made a testy putt to save par. Kim will take aim at Sorenstam’s 72-hole record of 27-under par, set at the Standard Register Ping in 2001 in Phoenix. Kim will need a 4-under 68 on Sunday to break that record. Amy Yang is a distant second at 16 under after shooting a 5-under 67. Eight players are within two shots of Yang but 10 shots of the record-setting Kim. Canadian Brooke Henderson is four shots behind Marchand at 10 under.